Thank you to everyone who filled out our 2017 survey! The Winners of our survey drawing to win a gift certificate to a local bookstore and a package of RGC-recommended books for your entire group are. . . The Secret Society of Rabid Readers is a spin-off group of a larger public library book discussion group. The public library group has everyone read the same title for book discussion once a month. When the larger group decided it didn’t want to meet in the summer, the “Secret 6” put their heads together and decided to meet in the summers (and year round) and, scandal of scandals(! ), bring any books we wished to the meetings. The group size has been maintained at 6 because it maximizes discussion when everyone is bringing a pile of titles to the meeting. 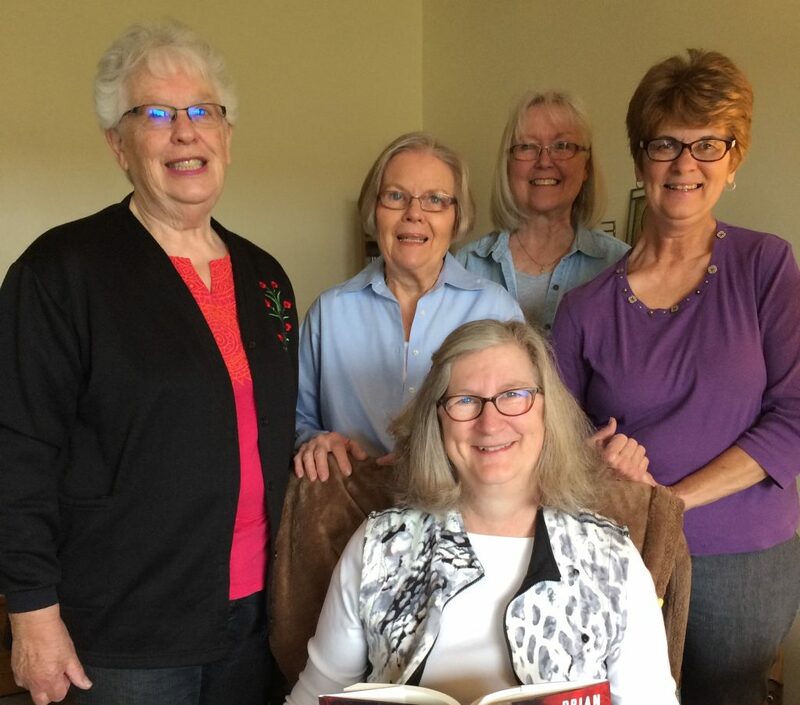 The meeting place is away from the location of the originating group—but somehow the books are a dead giveaway that we are a book group, no matter where we go! Favorite titles include : The Spy by Paulo Coelho, Victoria and Abdul by Lee Hall is a “royals” reader choice, as well as The Boys In The Boat by Daniel James Brown—a big hit! Fiction favorites include Our Souls At Night by Kent Haruf, The Last Painting of Sara De Vos by Dominic Smith, as well as many others. We could list lots of books! 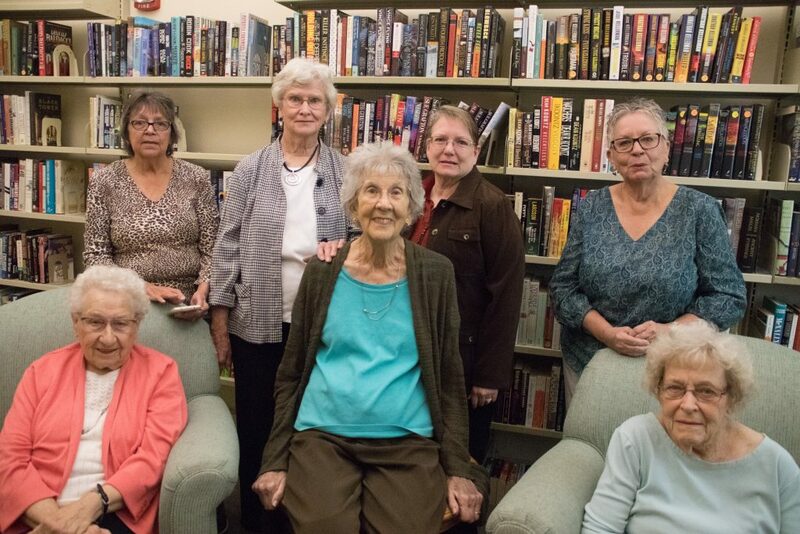 Pahrump, the Piute word for “water from the rock,” is home to our reading group, which this year celebrated its 21st year to discuss, praise, or tear apart our book selection. Located about halfway between Las Vegas, NV, and Death Valley, CA, we are in the desert but have not deserted reading and sharing. We meet nine months of the year in the home of a different member who serves refreshments, often related to our current book, then spend about two hours in discussion. We rate ten high, one low, sometimes zero. We do not choose a book for March: we celebrate our birthday. We take two months off for the holidays and have a fancy party. Two of us are original members. Over the years, when we have an opening, younger members have joined us. Having survived 21 years, who knows, how many more years may find the Desert Star Reading Guild gathering to celebrate the joy of reading. Our favorite books of 2017 include A Gentleman in Moscow by Amor Towles, At the Edge of the Orchard by Tracy Chevalier, and American Ulysses: A Life of Ulysses S. Grant by Ronald C. White.